Warm & Breezy Today As Cold Front Approaches. Local Temperatures At 6 AM MDT. 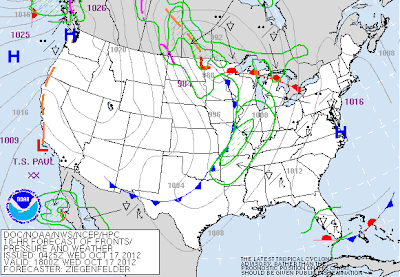 Surface Map Forecast Valid At Noon MDT Today. Warm, dry, downslopping southwesterly winds overnight have kept temperatures up across the area. 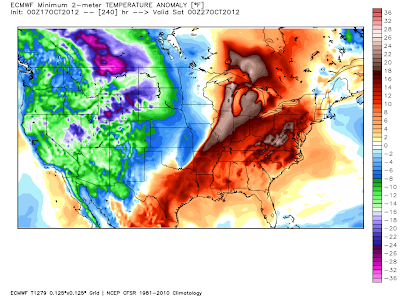 As of 6 AM MDT this morning my low here in Carlsbad has only been 71F. So this afternoon's expected highs of around 90 should be met fairly easily, at least in the southern areas of southeastern New Mexico. 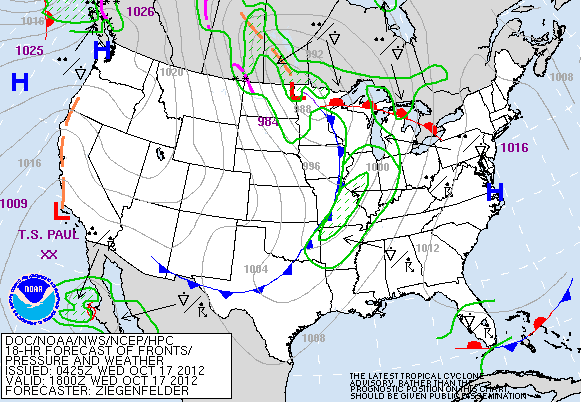 A cold front will arrive in the area by around noontime today. Gusty northwesterly winds will accompany the frontal passage and prevail throughout the early afternoon. With a cooler dry airmass in place behind the front tonight and tomorrow, our lows tomorrow morning will be in the 40's, with most of us seeing highs in the 70's to near 80. 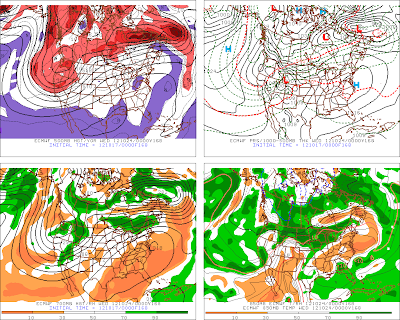 ECMWF Forecast Valid At 6 PM Tue Oct 23, 2012. Departure From Normal's At 6 PM Wed Oct 24, 2012. Departure From Normal's At 6 PM Fri Oct 26, 2012. 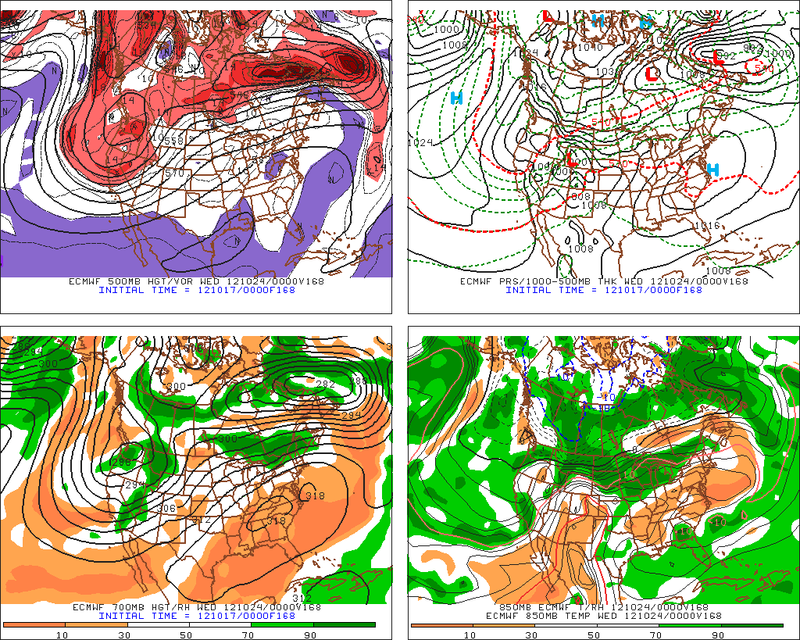 Long-range forecast models including the US GFS, and the European (ECMWF), are forecasting a large and powerful upper-level storm to drop into the Northwestern and Western US next week. 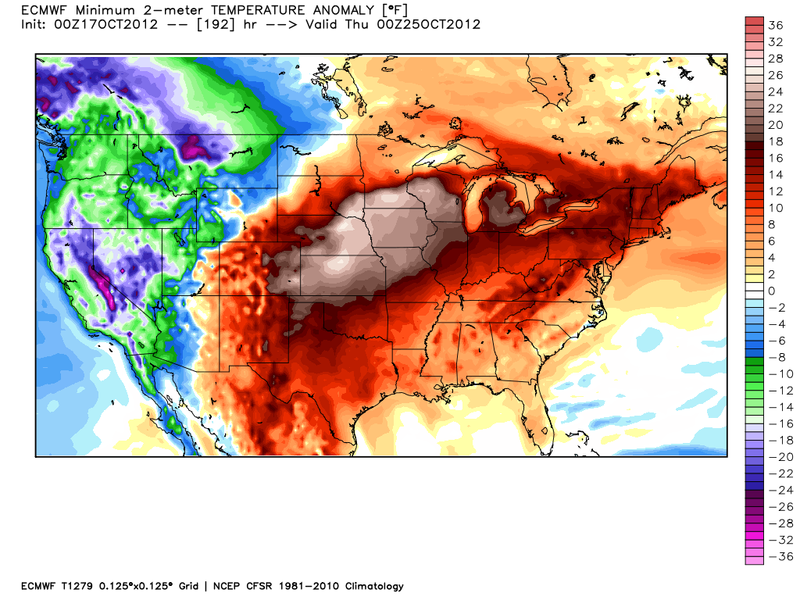 Temperatures across much of the plains are forecast to be running some 20 to 30-degrees above normal by mid week. A strong cold front associated with this potent winter-like storm will send temps plummeting some 20 to 35-degrees or more across the same area by the end of the week if the models are correct. Changes are blowing in the wind it appears.